Universal Joint is to achieve variable angle power transmission of the mechanical parts. It is used where the direction of the drive axis needs to be changed. It is the "joint" part of the universal drive of the automotive drive system. The joint of the universal joint and the drive shaft is called the universal joint drive. 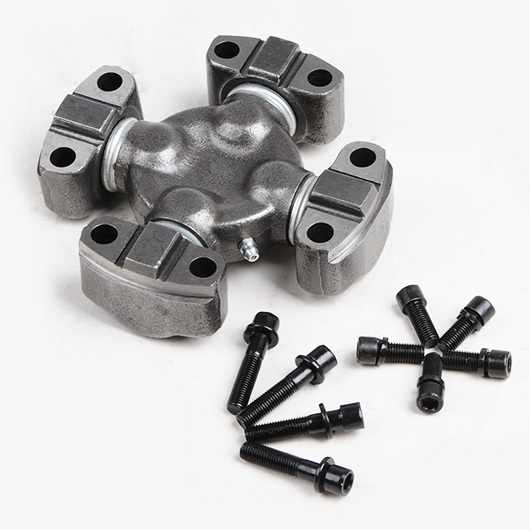 In the front engine rear-wheel drive vehicle, the universal joint drive is installed between the transmission output shaft and the drive axle main reducer input shaft. While the front engine front wheel drive the vehicle to omit the drive shaft. The universal joint is installed between the front axle axle and the wheel that is both responsible for driving and in turn.